This is a 1/64 scale die-cast car model of Porsche 911 Carrera by Tomica of Takara Tomy. I believe this is the current model of Porsche 911 Carrera 4S from the "Porsche 991 series". 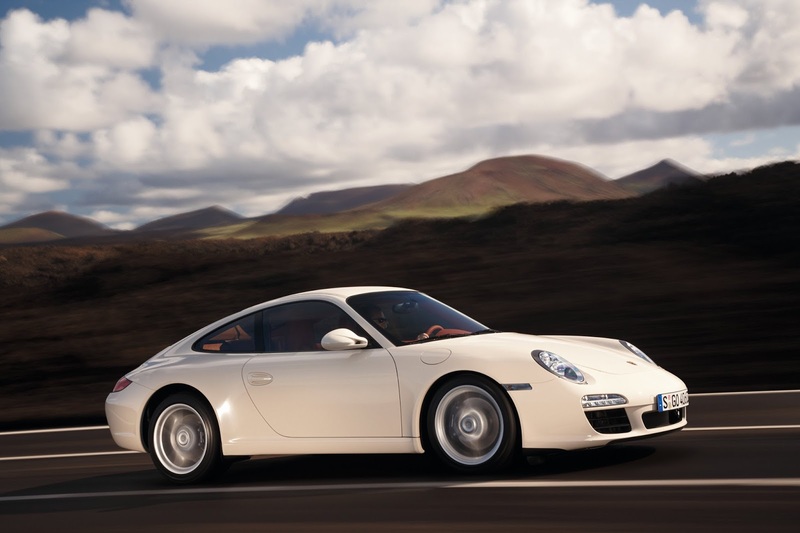 The Porsche 991 is the 7th generation of Porsche 911 which was unveiled at the Frankfurt Motor Show on 15 September 2011 as the replacement for the 997. The current direct injection 3.8-litre flat-six engine from the Carrera S remains, with power increasing to 400 PS (294 kW; 395 hp). A Power Kit (option X51) is available for the Carrera S, increasing power to 430 hp. The Carrera engine is a 3.4-litre, producing 350 PS (257 kW; 345 hp). The car features an optional stop/start system and also electro-mechanical power steering. New for the first time on a 911 model are electronic parking brakes (button selectable) and 20 inch diameter wheels. The car also features a new seven-speed manual gearbox, a first for a production car, along with an improved seven-speed Porsche Doppelkupplung (PDK) dual clutch transmission. I never bought any "foreign car" (or rather non-Japanese car) scale model produced by Tomica/Takara Tomy so this is really my first and when I first saw this model I immediately like it and straight away pick it up. The scale at 1/64 (according to Tomica) is another factor why I like this one. Overall, this is quite a pleasant die-cast scale model of Porsche 911 Carrera (991 series). The white color is quite OK I guess though I personally would prefer this in red or yellow but I guess white is not so bad after all. There is no openable door on this model but I think that is not a deal breaker at all. And this what I did - look at the wheels of the car, they are all in silver color now, I think I prefer the looks of the wheels now then the previous typical dull looking Tomica designed wheels. This is not perfect but personally, I like it better now. Note: I do not claim any rights on this picture. All credits and rights belong to the respective owner.